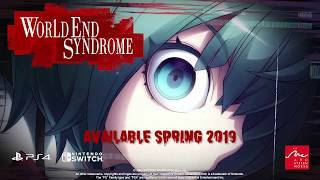 World End Syndrome is a romantic adventure visual novel game created from a collaboration between Arc System Works and TOYBOX. Multiple endings based on your choices and actions throughout the game! Explore the town of Mihate while solving the Mystery of the Yomibito! Character designs by Yuki Kato, known for their work as an artist and designer for the BLAZBLUE series. Scenario design by Tomio Kanazawa and music by Takashi Nitta! Multiple interesting and complicated characters to interact with. Discover all of their secrets!